NEW BRUNSWICK, N.J. – When chemistry student Xin Zhang left her home in Heilongjang Province, China to come to Rutgers for six months she was looking forward to her first trip abroad even if her parents were hesitant. 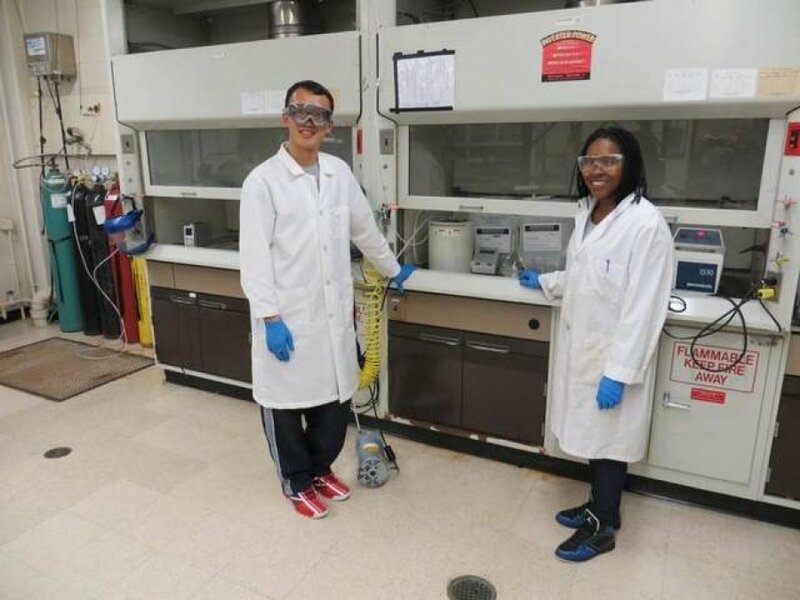 Three months into her American adventure Zhang and many of her 19 classmates from Jilin University in Changchun, the first chemistry students to participate in a special student exchange program, have been greatly impressed. Many are now considering coming back in the future for graduate study at Rutgers or elsewhere in the U.S. The 20 Chinese students have been brought to the U.S. as a result of an agreement between the Chemistry department, the Rutgers Program in American Language Studies, and Jilin University’s College of Chemistry. Their first eight weeks at Rutgers focused on developing writing, speaking and listening skills in English, which many of the students had been studying in China for the last 10 years. 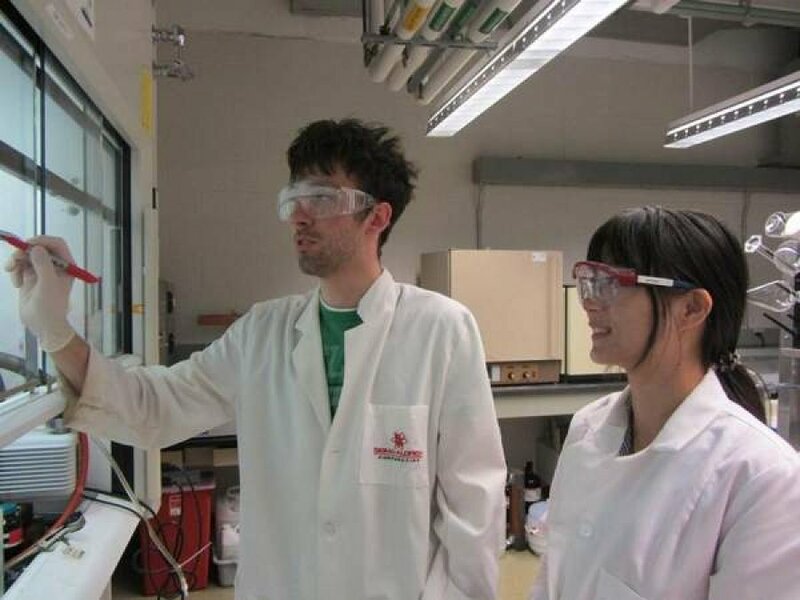 The remaining time at Rutgers is primarily focused on chemistry course and lab work. Professor John Brennan, Vice Chair of the CCB Undergraduate Program, manages the students’ chemistry experience with Professor Eric Garfunkel. Jilin University’s Professor Guangsheng Pang noted that the program is valuable for both the students and the universities. Over the last 18 months, seven Rutgers faculty members have visited Jilin University to help design the student exchange program. Former Jilin University President and Chemistry Professor Tang Aoqing helped initiate a cooperative relationship with Rutgers some 30 years ago, but the new program represents the first formal chemistry student exchange between the universities. The students, the top 20 among 250 senior chemistry undergraduates at Jilin, are supported both in China and the U.S. by a fund established in China in Prof. Tang’s memory. Since 1984, Garfunkel, the immediate past Chair of Chemistry, has been visiting China, where he has a long term relationship as a visiting professor at Fudan University in Shanghai. Three Chemistry faculty members of Chinese descent – Kuang-Yu Chen, Jing Li and Xumu Zhang – have also been actively involved in promoting student exchanges and joint research initiatives. They all emphasize the importance of continuing to build a strong relationship with leading universities in China such as Jilin. The partnership seems to be producing results already. The Chemistry and Chemical Biology Department (CCB) at Rutgers, The State University of New Jersey, is a national leader in undergraduate and graduate education and scientific research. Among all U.S. universities, the department is first in federal research dollars garnered – approximately $30 million annually – to support the cutting edge research that faculty and students conduct every day. Chemistry faculty members have obtained more than 250 patents and $170 million in venture capital over the past 12 years. For more information, please visit http://chem.rutgers.edu/.